Click Here to view a thank you letter from Larry Hook. All types of tires! Great deals on Michelin, Goodyear, Dunlop, General, Continental, Uniroyal, Bfgoodrich, Bridgestone, Firestone, Kumho, Toyo, Hankook and many other brands. All types of maintenance! Air conditioning service, cooling system maintenance, oil changes, lubrication, filter changes, transmission maintenance, batteries, vehicle alignments, North Carolina State Inspections, and maintenance tune-ups. All at affordable pricing. All types of repairs! Engine diagnostics (check engine light), timing belts, water pumps, suspension repairs, shocks and struts, brake repairs, CV axles, exhaust repairs, running lights, electric window repair, ignition switches, and driveability diagnostics. All types of vehicles! Ford, Chrysler, Cadillac, Chevrolet, Volkswagon, BMW, Mercedes, Honda, Toyota, Hyundai, Acura, Infinity, Porsche, Lexus, Subaru, Suzuki, Land Rover, Kia and more. Convienently located! We have a location in Charlotte, NC serving the South Park, Dillworth, Park Road, Starmount, Pineville and Quail Hollow areas. We also have a location in Waxhaw, NC serving Ballantyne, South Charlotte and Union County areas. Our Huntersville NC location serves Lake Norman and Mooresville. We're here to keep you driving. We strive to be a go-to resource for your car's health. With a huge range of tires and quality products at the guaranteed lowest price, combined with fast, hassle-free service, our bumper-to-bumper auto care is all you need, every time. Whenever your vehicle requires service or repair, you can trust our highly qualified technicians to get you back on the road. We'll even help you remember the important to-dos like oil changes and routine service. Plus, we can send you coupons to help keep your costs down, just in time. After 33 years of providing quality auto care to the Charlotte, Huntersville, and Waxhaw communities, Diane and I are beginning our transition towards retirement. We thank all of our customers for their loyalty and patronage, and all of our employees and friends for being such important parts of our lives. From the beginning we have had the good fortune of working with the finest customers, employees, and vendors. Thank you for making our success a possibility, and our happiness a reality. We are proud of our organization's economic impact, our service to our customers, our contributions to many worthy causes, and for providing a source of income to the hundreds of employees and their families who have been our partners these many wonderful years. 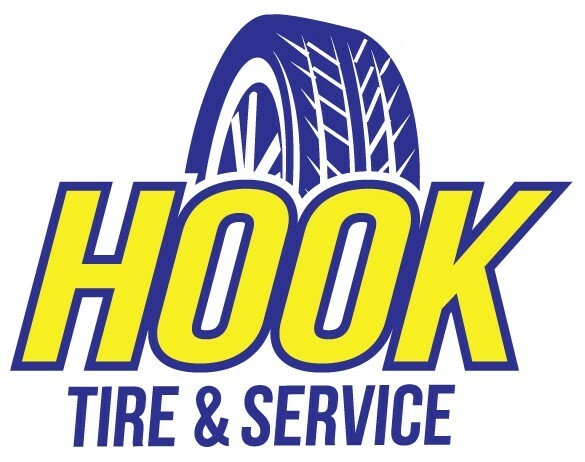 We have made every effort to hand over the reins to a qualified, caring organization with the strong foundation required to sustain the quality of service you have come to expect from every Hook Tire location. Please contact the new owners in Charlotte at 704-527-5714, Huntersville 704-875-3917, Waxhaw 704-843-3900, for questions regarding future and past auto service. Once again, thank you for what has been an extraordinarily rewarding experience, and for all of your enduring friendships.